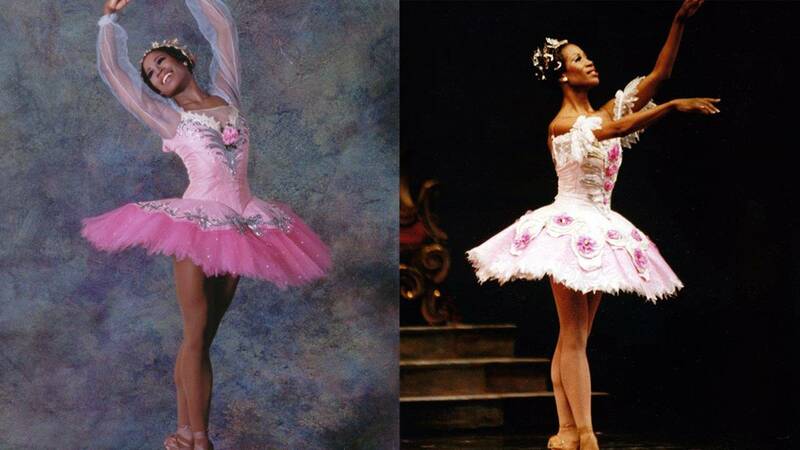 HOUSTON - She was one of Houston Ballet's biggest stars: Lauren Anderson, the first African-American promoted to principal dancer at the Houston Ballet Company. For 23 years, she shined on stage, but behind the scenes, the homegrown ballerina had a big secret: A nearly decadelong struggle with drugs and alcohol that she says nearly killed her. In an exclusive sit-down interview with Channel 2's Syan Rhodes, Anderson talked publicly for the first time about her battle with addiction, how she overcame it and her message of hope for others. Anderson said her struggles began in 2000. "The pressure of being the ballerina was really weighing in and I knew that it was going to end soon because I was getting older," Anderson recalled. She says she began drinking to cope. "I wasn’t dancing drunk, I was dancing hung over," she said. Anderson says her heavy drinking eventually led to drugs, specifically cocaine. "I wasn’t doing it all the time, but it allowed me not to be too drunk when I was drinking. I call that marching powder, a little bit of courage," Anderson said. Photos of Lauren Anderson dancing. Anderson says she stopped the drug and alcohol abuse the moment she learned she was pregnant with her son. But her sobriety did not last long after he was born. "The moment I stopped breastfeeding, I was off to the races," she says. As she struggled at home, she also struggled at work, trying to balance her career while hiding her substance problem. "I was a mess, It almost killed me," she said. Trying to keep up eventually caught up to Anderson. "The Sugar Plum Fairy went to jail," she says. Anderson was pulled over for speeding and had a warrant for her arrest for unpaid traffic tickets. "I figure I’m going to be out in a few hours I’ll pay the tickets," she recalled. But a search of her belongings would change her life forever. "I had some paraphernalia in my purse, I forgot I had a little baggie that was empty in my bag from the night before," Anderson said. She was arrested and spent 10 hours in the Harris County jail. "County jail has cement, you sit on cement. That was enough to sober me up. I was, like, 'Oh, I don’t belong here. How did I get here how did I get here?'" Anderson went through a court-ordered 12-step program, performed community service and completed an outpatient treatment program. "Today, by the grace of God, I have no desire to drink or use drugs," she said. Anderson has now been sober for 9 1/2 years. "I’m proud to say I’m a recovering alcoholic. I work hard every day to not drink or do drugs and I’m pretty successful so far today one day at a time," she said. She is sharing her story publicly now to let other people struggling with drugs and alcohol know there is help and hope. "I want everybody to know that there is a way out ... because it's a hole that you get in to and you don't think that there's a way out, but there is," Anderson said. Anderson says she is now an active mentor in the recovery community, helping other women in their battles with addiction.